As you may know, AViCAD is a comprehensive CAD software for Architects, Engineers or Designers. 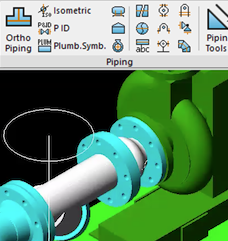 You’ll often hear AViCAD to be referred to as Plant and Piping Design Software or the complete CAD toolbox. Each day we ensure that AViCAD is the best it can be … and this week we’re please to announce that AViCAD 2018 is now available. Those with previous versions of AViCAD have the option to upgrade for a nominal fee. So if you’re on the fence about Mech-Q or AViCAD and are looking to accelerate your drawing speed, there’s no better time than now to get started. Our complete CAD Software is well-equip with features like our award winning Mech-Q Suite, Easy-Arch and Express Tools. Best of AViCAD has a brand new look and is a true 64 bit application. Even if you are not an Engineer or Architect, AViCAD still offers other tools you just won’t find in other CAD software. I guess you could say AViCAD is your Swiss Army Knife when it comes to CAD. So check it out today! Would you like to read more recent news? View More Headlines.